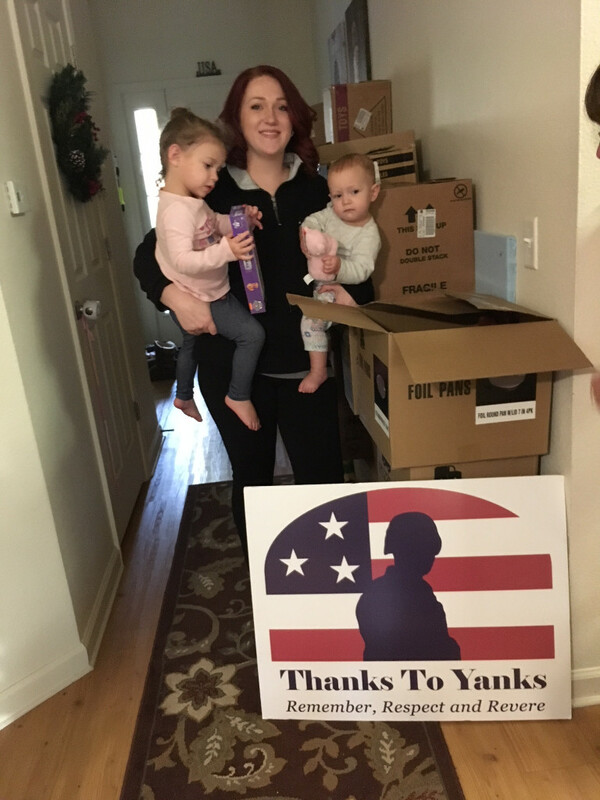 As part of our holiday tradition, Thanks To Yanks was able to provide stocking stuffers to over 900 military children at over 16 commands at Naval Submarine Base New London, CT. As well has countless children of parents serving in the Massachusetts National Guard and to families of Military Friends. 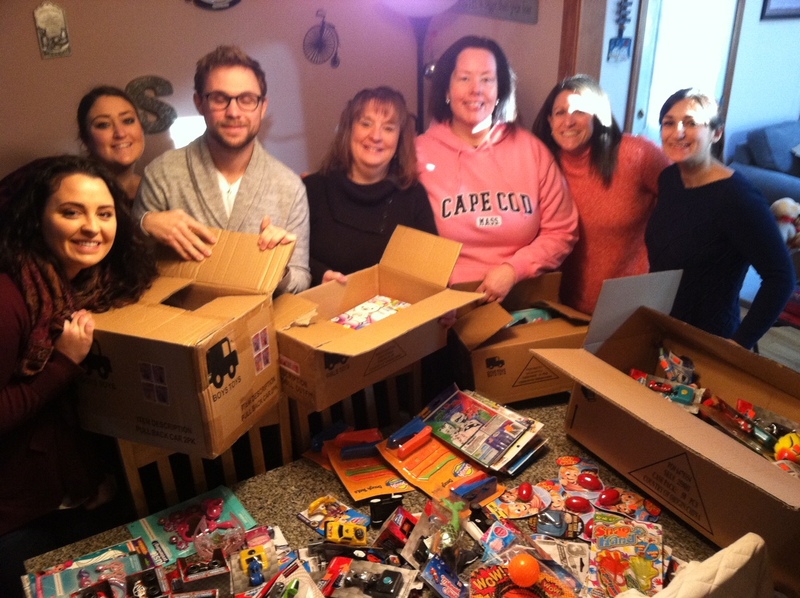 Thanks to the generous donations from local businesses and to our volunteers for sorting and distribution of the stocking stuffers. 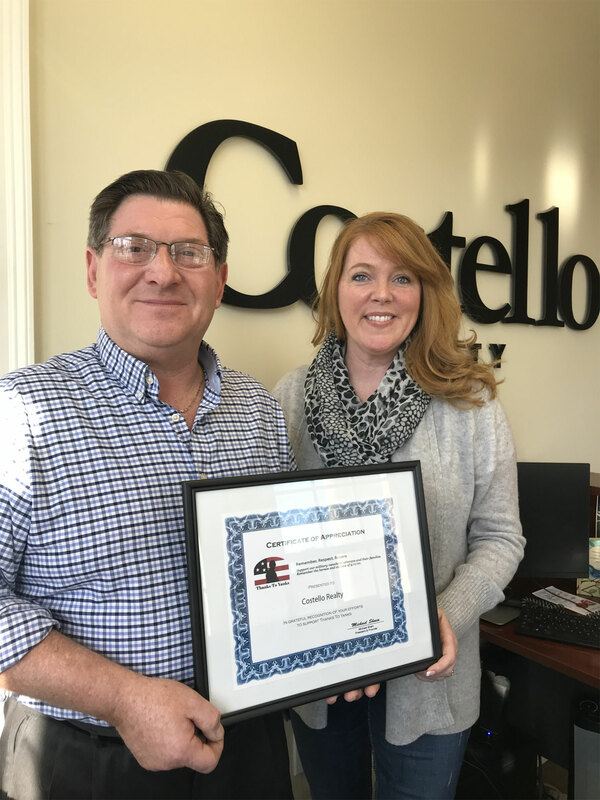 Michael Shain, Founder of Thanks To Yanks, presents to Kim Jordan Kimball Co-owner /Manager of Costello Real Estate Franklin, a certificate of appreciation for a generous donation made to Thanks To Yanks, in support of the Hope For Heroes campaign to assist homeless veterans. 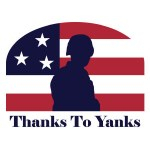 Support from donors such as Costello Real Estate, allows Thanks To Yanks to support those that have served our country and remind them they are never forgotten.